Sing your heart out! 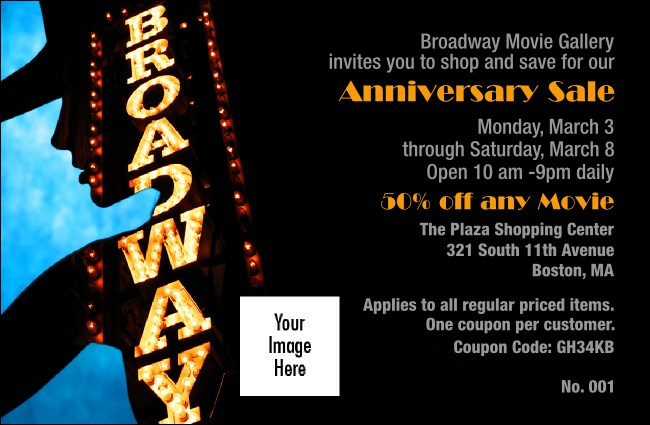 For music, musical, or film-themed businesses, or any time your customer's spirits need lifting, give the gift of savings with the Broadway Coupon. This template includes space for all your business details along with a place for you to upload your own personal business logo. Get the word out and the customers in with coupons from TicketPrinting.com.